Leaking Condensate PanBy Pete BuschWhen you bought your new furnace and central air conditioner or when you bought your house and had it inspected you were probably told to have it serviced by a licensed HVAC contractor on a yearly basis. The reality is that very few people have this done. A furnace or air conditioner is an appliance that people tend to forget about until it stops working.Today I am going to focus on just one reason why you should have your system serviced,. Amateur Microwave Installation By Pete BuschOne of the best parts of being a home inspector is finding things like this. 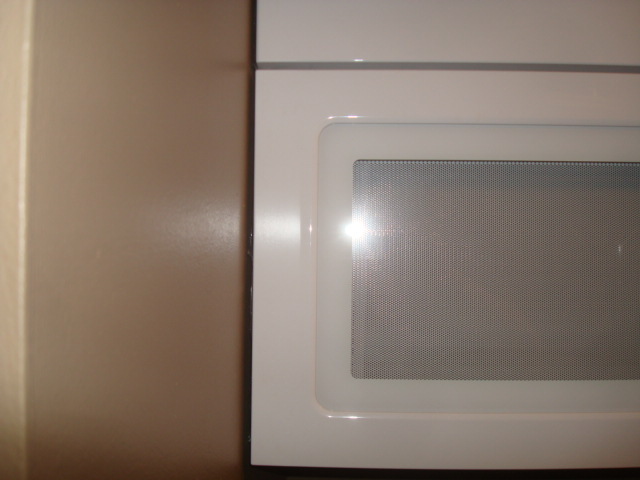 This is an amateur installation of kitchen cabinets and a built in microwave oven that I found while performing a home inspection in Plymouth Minnesota.In this first picture you can see the microwave is installed close to the kitchen wall. At first glance you would not recognize this as a problem, neither did I. When your out shopping for your new home your realtor takes you out to all these different homes. This is where you get the chance to go through all the rooms in the house except one, the attic. Now we all know an attic isn't actually a room but it is a space in the house that often gets overlooked.There are many problems that may exist in your attic but today I am going to focus on bath and kitchen vents as well as your. This weeks find is definitely goes to deck construction. I rarely find a deck that is built correctly and most of the issues I run into are relatively minor, emphasis on relative.While performing a home inspection in Chaska Minnesota I found a deck in a very dangerous condition. The deck was about twelve feet above the ground going into the second level of the house. The problem with this deck is that it was actually pulling away from the house. I'm sure I could.